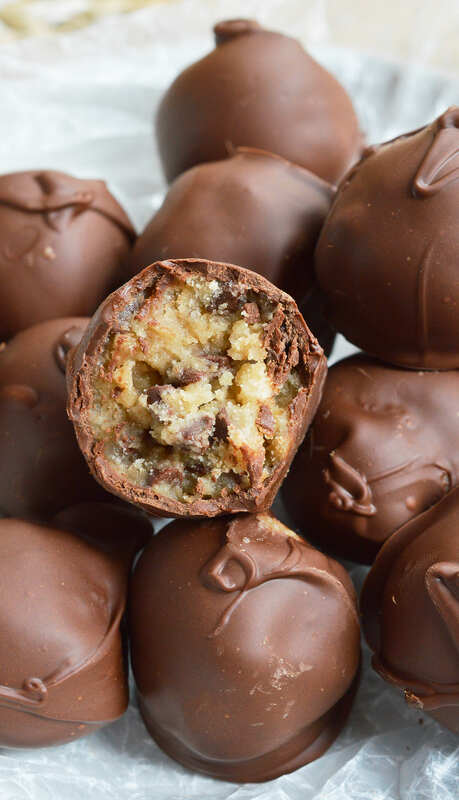 STOP what you’re doing and make these Edible Cookie Dough Truffles! Chocolate chip cookie dough that is safe to eat is rolled into balls and coated with chocolate! This no-bake dessert recipe is as good as it gets! So I’m not hating all these no-bake recipes. My cookies may be sugary puddles due to the high elevation but my no-bake treats are on point! So far I’ve made delectable Vanilla Cookie Truffles and the highly addictive Peppermint Pattie Chocolate Truffles. 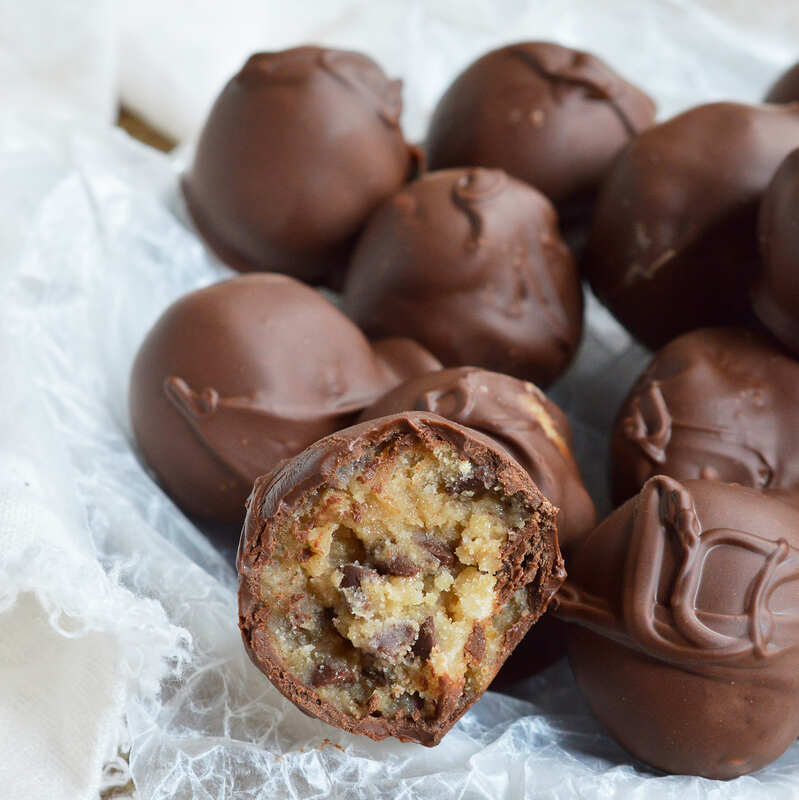 I’m not even a big raw cookie dough fan and I am obsessed with these Edible Cookie Dough Truffles. Like, get them outta my house before I eat every last one, kind of obsessed! I’ve always been leery of edible cookie dough recipes because while they leave off raw eggs they all tend to still include uncooked flour . . . which you are not supposed to consume. Then I came upon this recipe for Gourmet Toasted Cookie Dough by Sprinkle Bakes. The flour is heated in the oven or microwave before being turned into edible cookie dough. I did some checking around (i.e. Googling) and sure enough heating the flour does eliminate the risk of E.coli. . . yeah, you read that right. . . E.coli! While the risk is low, you are not supposed to consume raw flour or boxed cake mix due to the possibility of contamination. I don’t mess around with food contamination y’all! 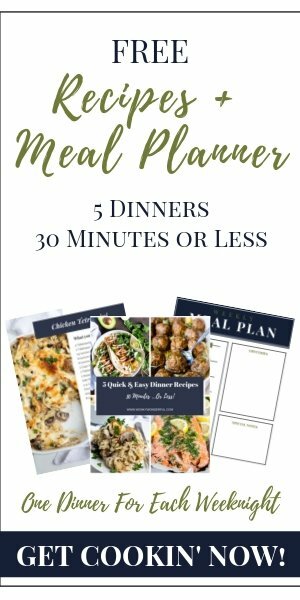 The flour can be heated on a baking sheet for 10 minutes at 300°F or heated it in the microwave for 1 to 2 minutes, stirring occasionally until an instant read thermometer reads 160F. I use the microwave method. Oh, and I’m back to making videos. I’m a little rusty but I’m pretty happy with the first video I’ve made in quite a long time. If you are looking for more no-bake treats, check out these tasty bites: Wine Chocolate Truffles, Cherry Pistachio Dark Chocolate Truffles, Cherry Stuffed Oreo Balls or Easy Oreo Microwave Fudge. These Edible Cookie Dough Truffles are chocolate chip cookie dough that is safe to eat rolled into balls and coated with chocolate! This no-bake dessert recipe is as good as it gets! Oh dear, these will not stay in the fridge for 3 days ! No chance 🙂 Have a pleasant day !